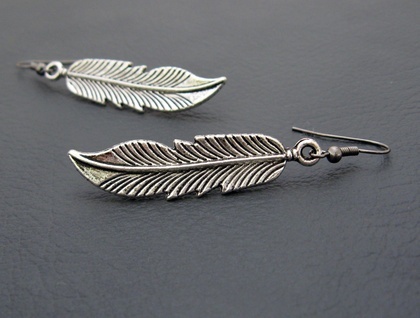 These simple earrings feature double sided, wonderfully detailed feather charms, made from antiqued-silver coloured alloy. They dangle from gunmetal-black ear hooks. When worn, the tips of the feathers will point gracefully away from your face, sweeping towards your neck (and your long hair if you have it). 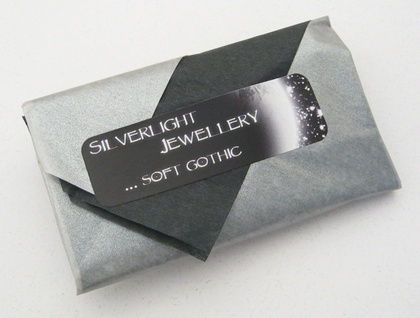 The earrings measure 63mm from top to bottom. 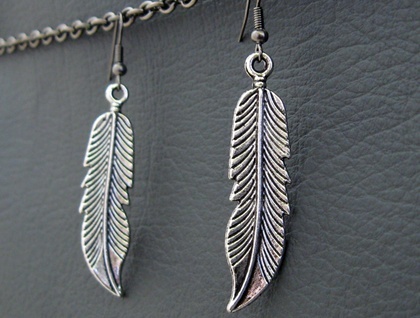 The feather charms are 56mm long, including the baile (hanging loop), and 11mm wide. The ear hooks are copper based and nickel free, so most people with sensitive ears should be fine wearing these earrings. 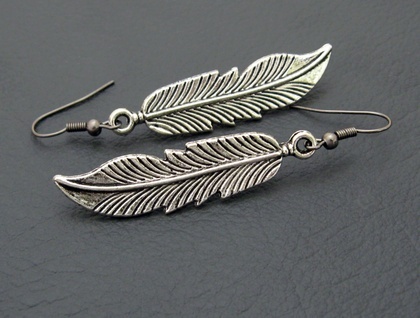 However, if you would prefer hypoallergenic, surgical steel ear-hooks, simply request them in the ‘notes to seller' field when you purchase the earrings. I’ll change them over at no charge. The earrings come with little plastic stoppers to help prevent the ear hooks from working their way out of the wearer's ears.